8 Ball Kush marijuana, from Barney's Farm, is a selected kush strain. This genetics, originally from pakistan and Aghanistan valleys, are known for being one of the strongest weed on earth. A perfect strain for Sea of Green, and Screen of Green gardens. The mountainous border area between Afghanistan and Pakistan is traditionally known as the source of some of the best hashish in the world. After many years of selectively inbreeding the superior genetics from this region, we can now offer a strain that is very easy to grow and flourishes even under unfavorable conditions. 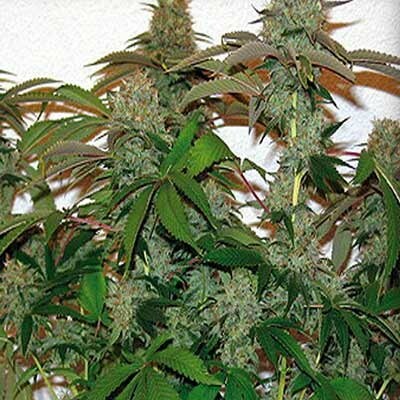 This sturdy, short plant – a good choice for both SOG and ScrOG gardens – grows wide, dark leaves and produces dense buds that form on thick stems. The flavors are classic Kush: earthy and musky, with deep spicy accents.